We are providing the below services. 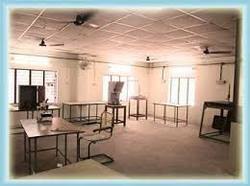 Our company has set benchmark in offering Metrology & Measurement Lab to the clients. This product is manufactured as per the requirements of patrons using high grade basic material and ultra-modern techniques by skilled workforce in accordance with the defined industry standards at well-established manufacturing unit. Servicing of Metrological / Mechanical Equipments. APEPL offers a full range of testing and inspection services, including 3D scanning using Blue Light or LASER scanners to generate point cloud data, CMM Scans, Roughness and Hardness testing, etc. Part comparisons can be done with the CAD data to determine deviations from design. - Calibration of Storage Tank. - Stamping of Electronic Balance. - Stamping of Flow Miter.